Upon the return of his brother from the UK, both of them decided to build “Roti Maker” to help his mother as she was suffering from back pain. An Idea of making the Roti Maker was a hit in the market as customers were extremely excited about this concept. It lightens the task of making perfect rotis in every household. This successful venture added confidence and courage to create next level of product. During the period of initial testing, they struggled to find a vendor, who can create a right prototype for their next business idea. There was no major player in the market and existing players were very expensive for making a prototype. The opportunistic mindset of Vishal and Vaibhav Jariwala saw disappointments and problems as an opportunity in disguise. They themselves started a business of creating prototypes. Instead of complaining about the gaps in the market, they stepped out of their comfort zone. Vaibhav Jariwala finally decides to design a technology which can create a prototype as there were fewer players in the market. Finally Vishal and Vaibhav took a determined decision and left no stone unturned to move forward. Mr. Vallabh Lukhi, a Diamond merchant predicted them as the winner in the industry. He agreed to instill his confidence and invest on Prototype business. Relying on self-instincts and research, Mr. Vallabh understood the growth prospects of prototypes. He believed that it will be a great and successful business idea. The concept was new but it had the capability to transform the business functioning. Finally, on 12 September 2013, J Group Robotics was registered as a Private Company as Jariwala Robotics Private Limited. Indian Navy boosts their confidence by becoming their first customer. Attending several exhibitions gave a knowledge boost to Vaibhav Jariwala. He invested his time and efforts in developing a newer technology. He was the backbone of the project. Building 3D printers according to Delta technology was a new concept in the market. Heavy investment was required. One point of time, it was a complete drainage of the financial savings and suffered from the major financial crisis. The Jariwala brothers were persistent and determined to move forward. They positively faced the low tide in their life. They expanded their reach by learning new skills, building a network and attempted new things to move forward in the best possible way. With time and patience, 3D printer sales gradually increased. A dedicated website and ERP was installed to automate the system. “Got to do it” attitude helped the Jariwala brothers to overcome all the uncertainties and skepticism. Gradually the big companies like Cipla, Tata, ISRO, HAL, NAL, Sun Pharma, Reliance Industries starting approaching them for their best 3D printers. As the business started getting into the shape, Vipul Lukhi was hired as a Director to handle the Production and Rajendra Jariwala father and backbone of Jariwala brothers was hired to look at the legal aspects of the company. Over a period of time, technology is now getting upgraded to cater to different Industries such as Construction 3D Printing, Jewelry 3D Printing, Color 3D Printing, Metal 3D Printing. The whole Jariwala & Lukhi family came together for its achievable success. Working with right and creative people constantly forced them to be focused and to think positive. It was a moment where it was a risk worth pursuing as the benefits far outweighed the cost and present hardship. Entrepreneurship taught them a big lesson during the troublesome time. It is a matter of time where patience and hard work win over all other deadlocks. The reliable team, a solid technology, a favorable planning, and decisions are required for overall success. Finally, the whole family efforts paid off. It’s a story of the road less traveled where a bigger success is waiting for its founders. 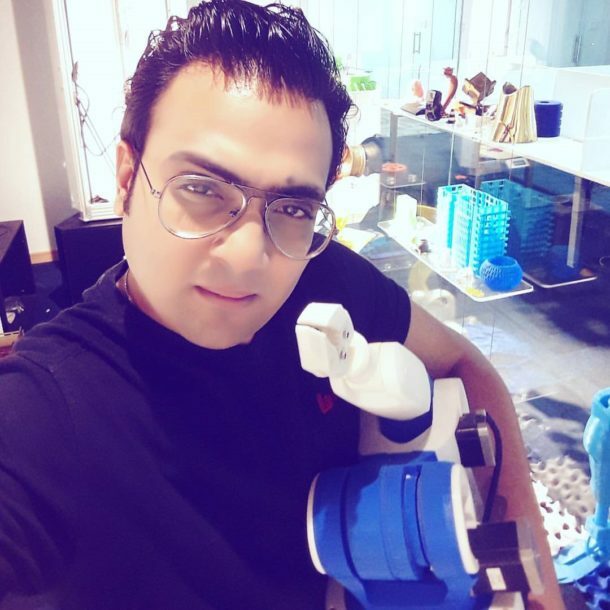 J Group Robotics is one of the leading 3D Printer Manufacturers across India. Truly the Jariwala brothers continuously showed perseverance and controlled mind .They faced hard times with optimistic attitude in the world of uncertainties. It’s just the beginning of an exciting journey. Vishal and Vaibhav Jariwala are truly competitive. They will continue to focus and capitalize on newer opportunities that come on their way. The 3D printing business venture made life simpler for many other businesses. 3D printing gave magical charm to creativity and far more affordable ways to convert new ideas into actionable ventures . It has the power of changing the way, businesses are functioning today. It has the fundamental capabilities to create items from life-changing medical equipment like prosthetic body parts to construct turbines to a simpler bottle cap. 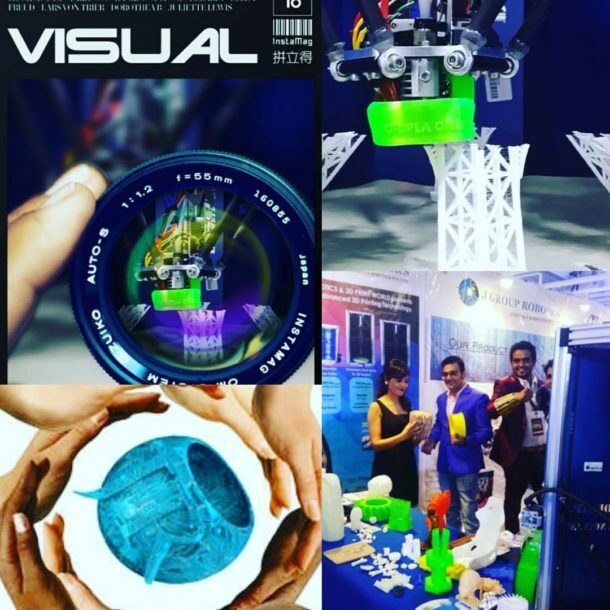 J Group Robotics will continue to expand and make 3D printers increasingly affordable and simpler. It’s a technology worth investing. How is 3D printer reshaping the businesses? The concept of 3D printing—Using a printer to create solid objects from a digital model. 3D printing has made headlines as doctors find life-saving applications; NASA uses it to whittle down the number of parts needed to make a rocket engine from 115 to two. Automobile companies to create parts, Kids and grown-ups love fabricating objects, small businesses are right there with them, using 3D printing to create prototypes and models faster and cheaper than they could use more analog methods. It also allows some entrepreneurs to expand what they can offer. The utility of 3D printer is an enormous and direct benefit to many industries who works on prototypes. With 3D printer, it increases accuracy. A jeweler can use this technology test its design evaluation, for demonstration and finalize product features. Similarly other business can use it for developing mechanical parts, designing, and 3D printing. The 3D Printing if implemented with traditional methods can improve the manufacturing speed with accuracy and reliability.